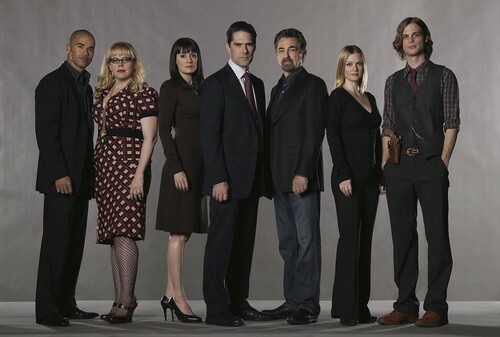 Criminal Minds Cast (HQ). I know xellga already uploaded this foto before but this one is in HQ!. HD Wallpaper and background images in the Criminal Minds club tagged: criminal minds cast season 4 jj emily rossi morgan garcia hotch. This Criminal Minds photo contains pak. There might also be goed gekleed persoon, pak, broek pak, broekpak, kostuum broek, pak, stel kleren, kostuum van kleding, driedelig pak, and driedelige pak.